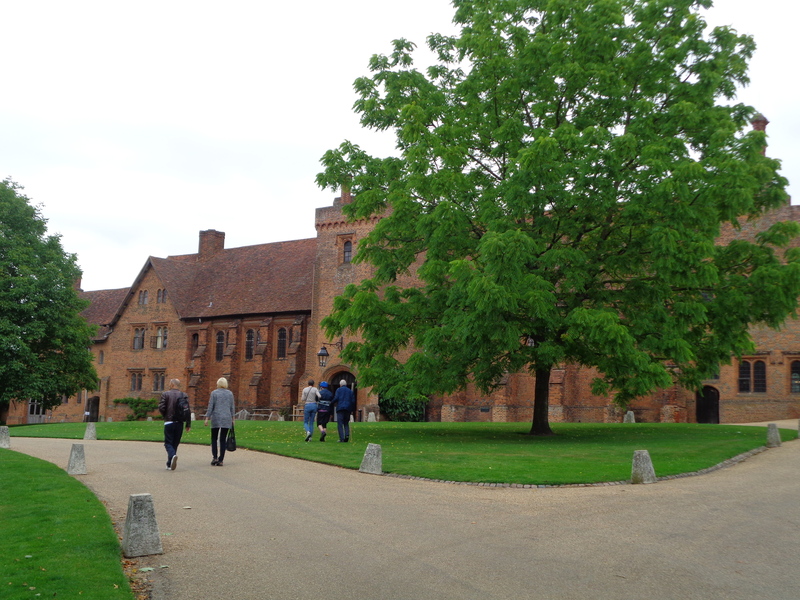 We are getting near the end of the glorious summer hols and a different family day out to Hatfield House Hertfordshire was on the agenda. Perfect for me my hubby, daughter granddaughter and beagle dog, all kept busy on a long walk round the parks of this wonderful old palace. A brief history of the house then! Still lived in by the 7th Marquess and Marchioness of Salisbury, it has been in their family for 400 years. 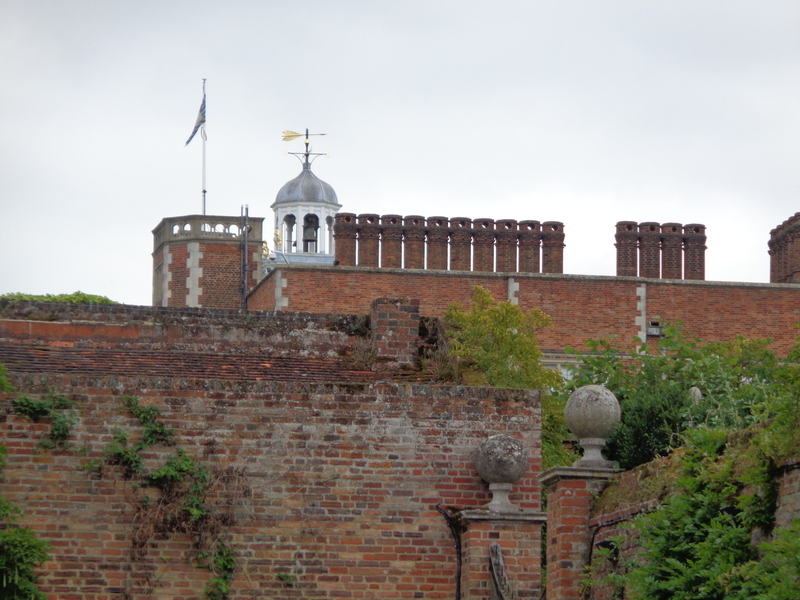 The house is a superb example of Jacobean craftsmanship and was completed in 1611 in Elizabeth 1 reign. Although we did not go in, having a dog with us and a seven year old who would not have appreciated such things(!) the exterior of the house is built in that wonderful red brick and the details in the decorative brickwork and carvings is beautiful. A few Chimneys to clean. A visit inside the house will have to wait till the oldies are by themselves! 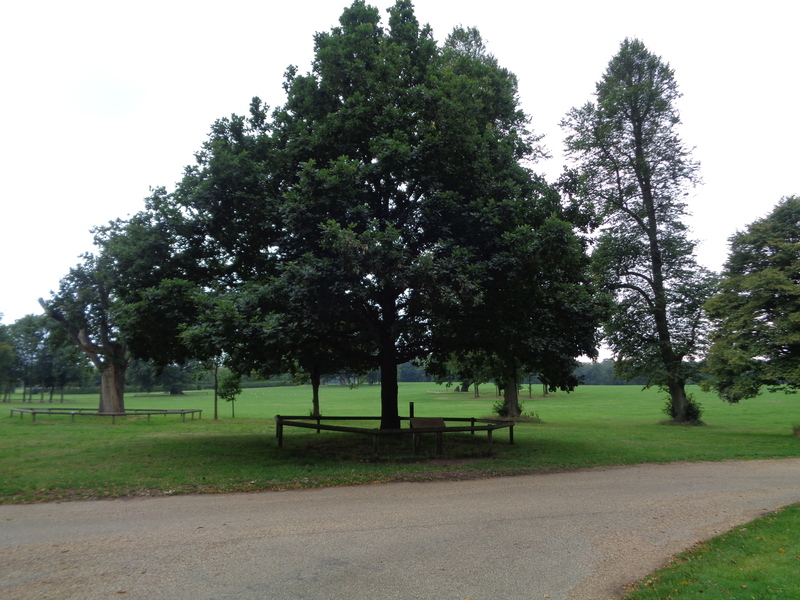 The walk around the park is long enough to tire everyone out and the open parkland gives you a pleasant breathing space to enjoy. 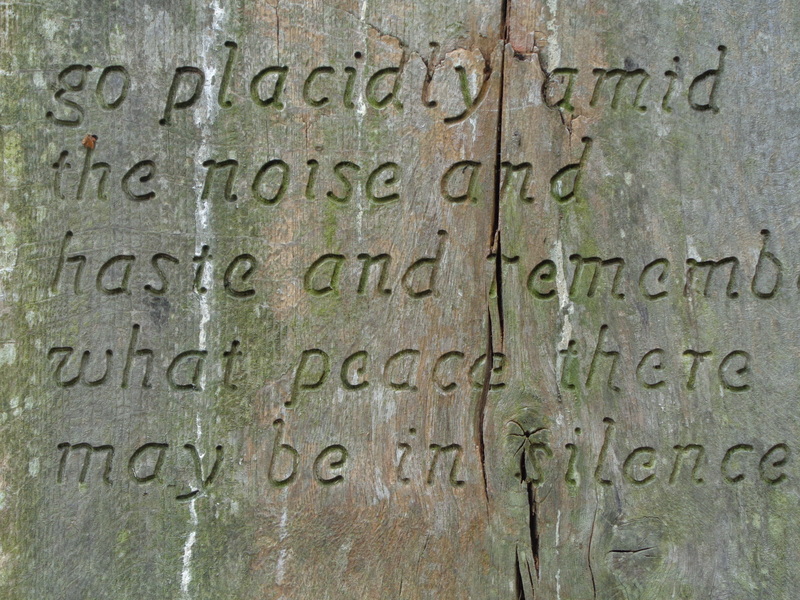 We had a lovely picnic by the lake and sat on a carved out log for a bench with this inscription. 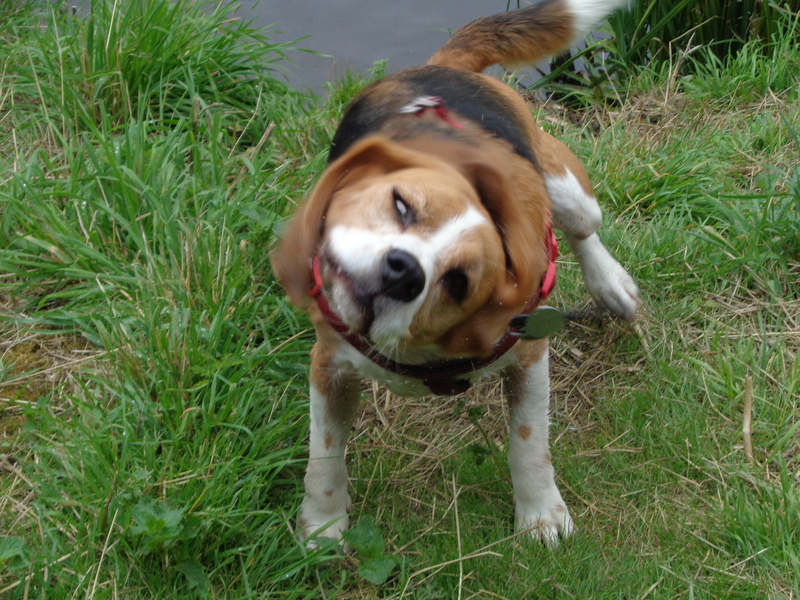 Louis the beagle, always likes a bit of a cool off during these moments and tried his paws at carp fishing, but no joy luckily, we would probably have been turned out if he had landed a catch. 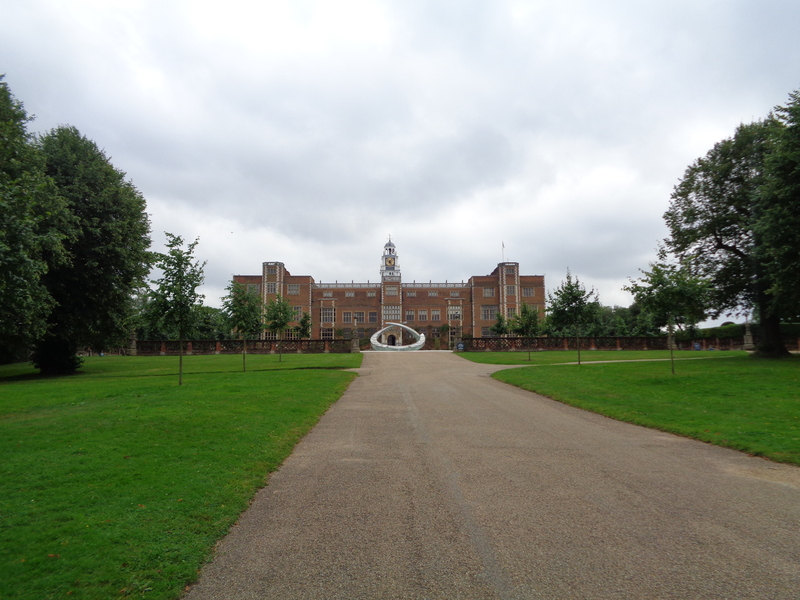 It is said that the then Princess Elizabeth I heard of her accession to the throne from her father Henry VIII, whilst standing on this spot under the tree pictured below, although the original tree has now been replaced by this upstart! 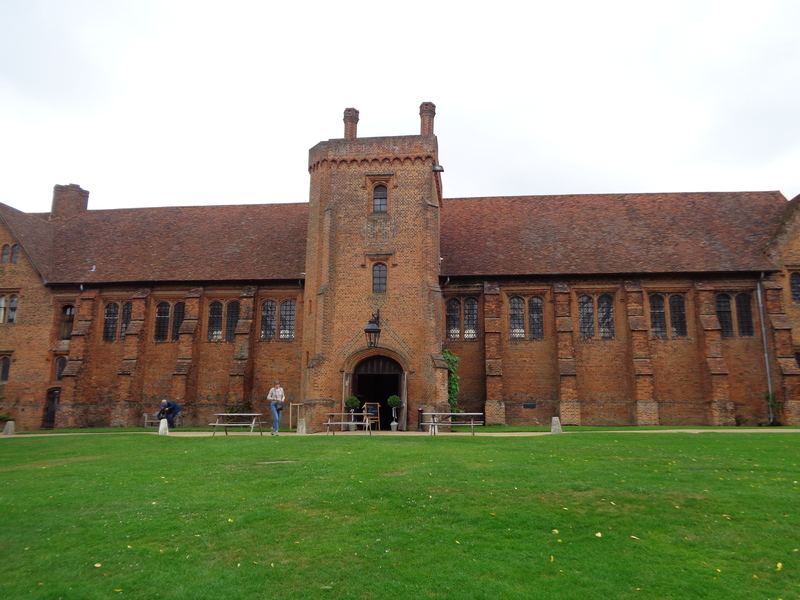 Hatfield was often visited by Henry and his family. 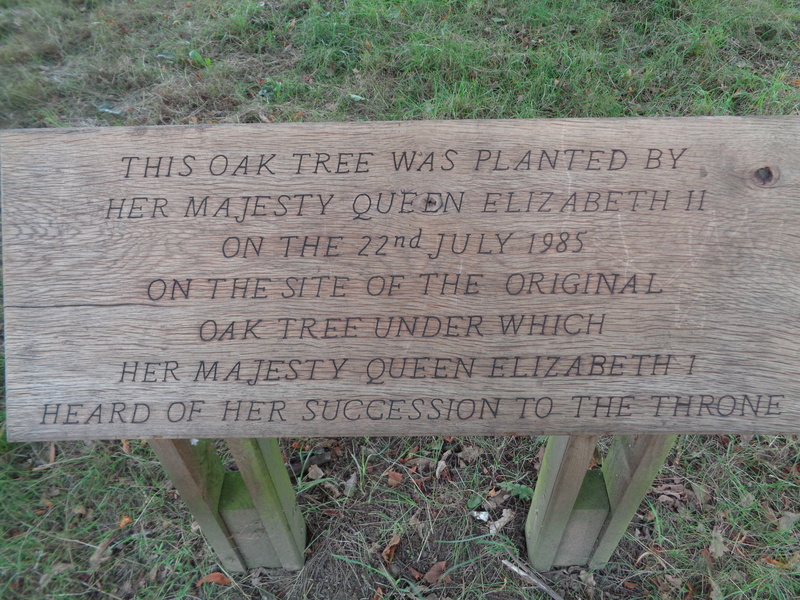 The park has an ancient collection of trees and there are several oaks that seem to survive, even though most of the trunk and branches are in decay. Thought I would end this short item about this lovely place with these three pics. It about sums it all up! 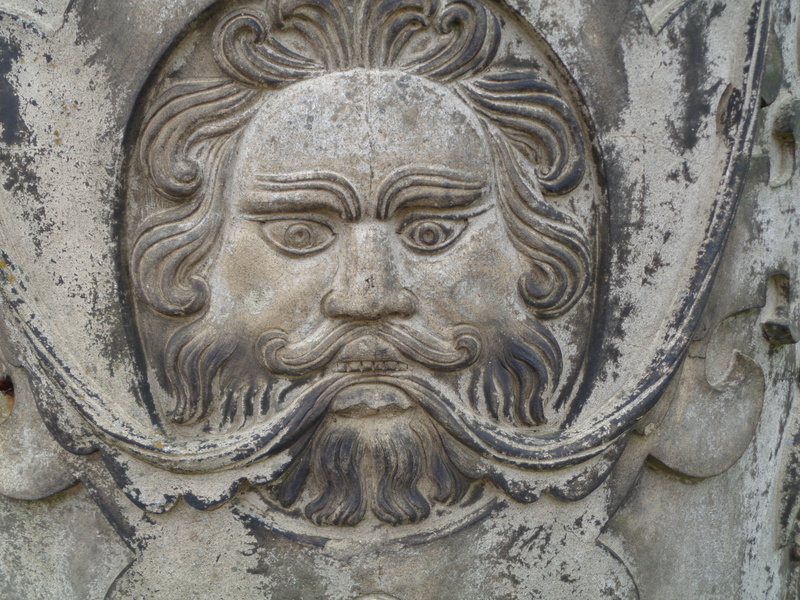 Stone Face on a gate pillar. 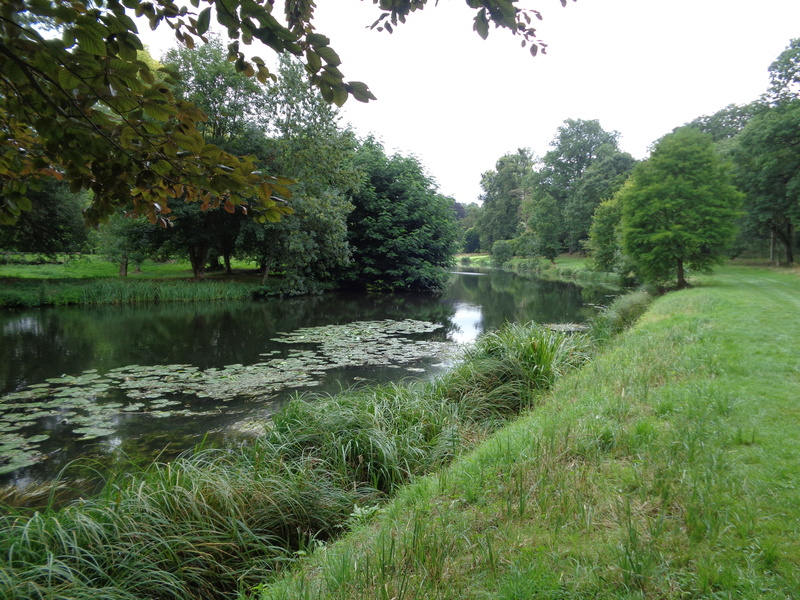 Hatfield viewed from the Avenue and showing the latest art installation for 2015 a water rill. Yes I agree with all that! And very lucky you to finally see a heron land a catch, I will persevere. Oh, what a fabulous place! 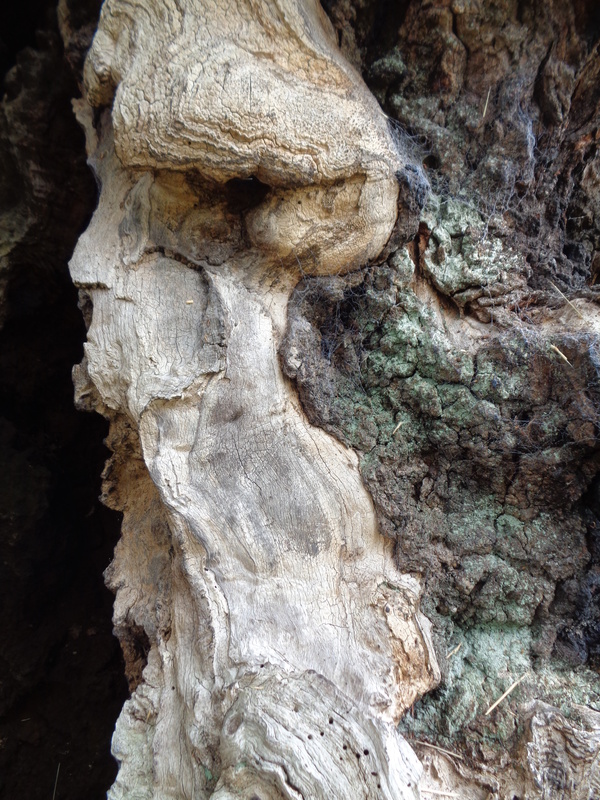 I love the contrast and similarities between the stone and tree faces – very intriguing. Yes, I thought the wooden face in the woods a bit scary!